May is a month of Flowers. Today is the last day of the month and it is time for me to wrap on the books I have read for this month. What are you doing to get ready for June. 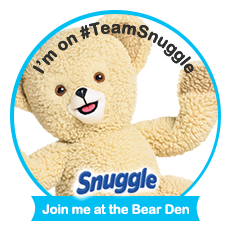 We have raised $75.00 of $200.00 for Reading 4 Autism. I have done well in getting 6 of 6 books read this month. The reviews that are done will be linked up for you. The reviews that got published/posted this month are the following "Aoleon The Martian Girl: - Science Fiction Saga Part 5 The Great Pyramid of Cydonia by Brent LeVasseur", "Bianca's Vineyard by Teresa Neumann + Giveaway", "When Grace Sings by Kim Vogel Sawyer", "A Heart's Danger by Colleen Coble". 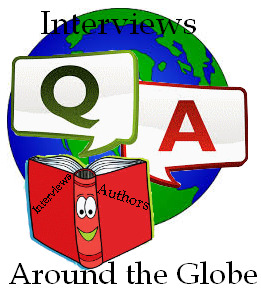 The Interviews that got published/posted this month are the following "Interview around the Globe with Teresa Neumann"
I have some reviews done for some of these books. 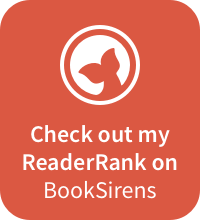 I need to write reviews for some of them as well. I have some scheduled to be posted this coming month. I also have a few books to read in the coming month as well. I have also got a few Interviews done this month as well. Here my checklist of Interviews that have been written for the month of May. I have read a total of 1,645 pages this month. So far this year I have read a total of 9,144 pages. I will be keeping track of the total of pages read during each month as for the year. Reviews coming out next month are "Out from the Underworld by Heather Siegel + Giveaway", "Upper West Side Story by Susan Pashman", "Interviews around the Globe around the World with Heather Siegel", "Interview around the Globe with Susan Pashman". Today we have a new Author. 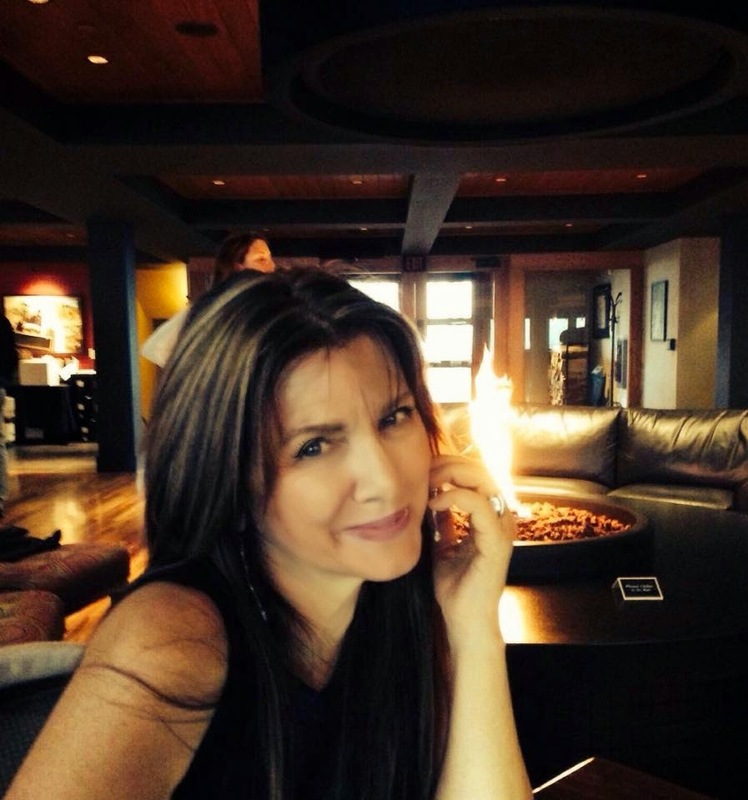 Teresa Neumann is an author that is working though a book Tour that I have now been a tour host for. Let welcome this new author to Interviews around the Globe. Bianca’s Vineyard is about: the power of family, choices, consequences, war, survival, hope, reconciliation, restitution, and joy that comes in the morning. It's based on the true story of my husband’s family from Italy, so the skeleton of the story was already there in our family archives. With few exceptions, most of the characters in my book were given their real names. For the characters I invented, I chose Italian names that appeal to me, or seemed to fit. Which of your characters in Bianca’s Vineyard is your favorite and why? That’s a tough one. I knew many of the characters personally, so I related to them all on varying levels. But I’d have to say Bianca was my favorite. She was my mother-in-law’s cousin; truly one-in-a-million. 80-some-years old when I first met her, she exuded authority and charisma unlike anyone I’ve ever met. In real life, she was a WWII partisan, a grand facilitator, keeper of her family’s history, the bridge from the past to the present, the instigator of our American-Italian reunion, and the uncontested matriarch of the Bertozzi’s. It’s why I wove her throughout the book and named it after her. Without her, this book would never have been written. Most scenes dealing with Armida were tough. Because I’d never met her, and because her personality was so dark and complex, I had to extract difficult information from her daughter, Babe (my mother-in-law), who was the sweetest woman on earth. I hated dredging up some of the ugliness of her past, but in the end I think it was extremely healing for Babe. One of my greatest rewards as a writer and daughter-in-law was seeing her obtain a measure of closure from the book. Andy Garcia as Egisto. Maybe Ashley Judd or Penelope Cruz as Armida. Helen Mirren as Bianca – although I’m sure there are some amazing Italian actors who would fit the roles perfectly as well. Editing and rewrites. It’s a love/hate thing with me. I love the tweaking, and am obsessive about doing my own edits, but at some point I get so close to it all that I can’s see the forest for the trees anymore. Then it’s time for objective insights and when the light bulb comes back on I find myself wanting to rip the manuscript up and start over again. Ugh! There are so many amazing authors who have inspired me I don’t know where to begin. I first cut my teeth on the classics in high school: Tolstoy, Dostoyevsky, Hardy, Hugo, Dickens, Jane Austen, Sigrid Undset. In fact, for years all I would read were literary masterpieces – all the high drama and sweeping themes were addictive. But since then, I’ve branched out and discovered countless other gems. I think Leif Enger’s Peace Like a River comes closest to being a great American classic. The first few chapters of that book are just unforgettable. I’m also reminded of Adriana Trigiani’s The Shoemaker’s Wife. 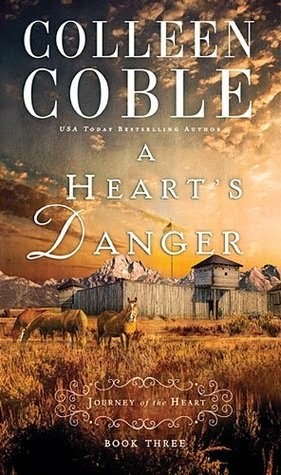 I loved it; brilliant writing, and of course, the Italian immigrant theme really hit home, especially with the connection to Minnesota. I’ve noticed that as I grow older, I’m beginning to relish reads that are just plain fun and entertaining – like Peter Mayle’s A Year in Provence. Read, read, read, and write and rewrite until you’re sick of it. Then keep rewriting and reading. Yes, I read them all. Bad reviews are never fun to read, but I take them to heart and sometimes even learn from them. 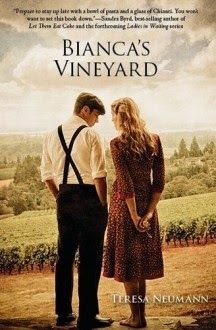 For example, although not really considered a “bad” review, several people commented on the diverse characters in Bianca’s Vineyard and struggled with the pronunciation of their names. (There is a family tree in the beginning of the book, but for some people it still wasn’t enough.) So in the sequel, Domenico’s Table, I took those comments to heart and actually spelled out the pronunciation of the characters at the beginning, and also explained their relationship to other characters in more detail. My third book, A Year in the Company of Freaks, is set in the early 1970’s in northern California and features an Italian-American as the main character. It’s due out this summer. Those who are interested can check my website www.teresaneumann.com for more information. My father passed away two weeks ago; the toughest situation of my life. There’s no getting out of the grieving. All you can do let your family circle the wagons around you, tackle each day as it comes, and allow time and God heal the loss. Closure can be elusive, but until it’s achieved, life feels as though it’s being lived in the shadows. Thank you for stopping by Teresa Neumann. I have enjoyed your book. I learn a lot about Italy and your family or in laws. I happy for you have stop by Nighttime Reading Center. I hope you come back. Disclaimer: I received this book from +Laura Fabiani for a book tour and honesty review. Description: Bianca Corrotti's vineyard is more than a piece of mouth-watering real estate in Tuscany. It's an inheritance; a storehouse harboring the secrets of her Uncle Egisto, a world-class sculptor, and his troubled wife -- a woman whose destiny converges with Mussolini's when WWII overtakes them all. Based on a true story, Bianca's Vineyard follows a devoted family of strong-willed men and lion-hearted women waging an epic battle against a gathering storm intent on destroying their lives. We learn about what life was like in Italy at that time. You can read the book in a form of a diary or as someone is telling a story in a storytelling. You can learn the secrets of this family. You also learn a bit about Italian culture. You will learn what Italian culture was at that time in history. Most of this story is about Egisto and his wife that he married before going to America. Tough as soon as her children when to school. She decided to go back to Italy. The book really does teach us lessons that were going on in Italy. You also see the family deals with her and the rest of the family. Egisto father was fond of his niece Bianca. Egisto knew the war was coming to Italy. We learn about Armida and her what she decides. She is going to need to make a choice. I feel bad for Armida and Egisto children especially when Armida gets a bit strange. We learn what the vineyard is about and it meaning to the family. I really like the fact it was told somewhat in a form of a diary. You also learn about each family member that's in Egisto life. It mostly takes place in Italy and his Italian family members. The author did a really good job of showing us what it was like during World War 2 era. You see the reliant of the Italians after the war and shows how the family was back together when Egisto returns. Description: On the brink of war with the Sioux, a young woman risks everything to expose the betrayal threatening the man she loves. Things get even more strange as the story continues. Ben and Jessica both want Sarah away from Rand for their own reason. Ben has a little bit of a different plan for his himself. There seems to be something going on and Sarah hear a part of the plan that Ben is talking with Jessica. She could not figure out what they are talking about. Ben wants to get back at Sarah for what she did to save a friend. He got a plan to get rid of Rand for good. Jessica finds Sarah and invites her and Amelia with her and her mother to a picnic. Sarah feels like something is up with Jessica but needs to get out of camp for a bit. There a stage while Rand is out for a few days to get wood for the fort. What do the Indians want with him? Rands see an Indian that looks like his younger brother and he does not shoot. What do they want with Sarah when they got her. Will they save Sarah and Rand or what will they do with them? A Heart's Danger is quite an adventure and Colleen put it together quite well. Will Rand and Sarah see that their love is still strong? Will Rand goes on with his wedding with Jessica? Will Ben and Jessica's plan work? Description: When trouble roars into quiet Arborville, Alexa and Anna-Grace find themselves the target for discord and exposed secrets. Can they continue to seek the God of all grace amidst the fog of confusion? Alexa Zimmerman wonders if the Old Order Mennonite community in Arborville, Kansas will ever fully accept her. Her family roots here aren’t what anyone thought when she first arrived, but she is hopeful that her culinary and hospitality skills will win the skeptics over. The bed-and-breakfast she’s operating needs to succeed so Alexa agrees to allow Briley Forrester, the hotshot reporter from Chicago, to stay as a long-term boarder not knowing his real motives for being amongst the Plain folk. But when Alexa agrees to host her cousin Anna-Grace Braun, the presence of extended family brings out Alexa’s insecurities and sets Briley on the trail to uncovering a web of hidden truths. Plans for a secure future and the sweetness of young romance hang in the balance when Alexa and Anna-Grace have to face that their secrets are interconnected, binding the two in ways they could not have imagined. They must trust in a loving, heavenly Father and His plan for their futures. This story continues with Alexa Zimmerman. We are back with the Zimmerman family, with Alexa bed and breakfast known as Grace Notes. We meet the Brauns and their daughter Anna-Grace. Stephen is gifted his grandfather's land. Stephen and Anna-Grace are to stay in Arborville. Alexa seems to be feeling that she is not fitting into the Zimmerman family. Alexa is having doubt about herself and feeling like she an imposter. We know about Anna-Grace birth parents for we dealt with them in the first book called "When Mercy Rains". When Mercy Rains introduces us to Anna Grace birth parents. Anna Grace is given an envelope that has her birth parents names. Anna-Grace cannot decide if she wants to know or not know her birth parents names and why they gave her up for adoption. Stephen is dealing with what he wants to do in life. He does not know if he want's his grandfather land in Arborville. He seems to want to sell it, but he does not know for sure. He seems to want to be a teacher. Can he tell his parents or Anna Grace that he wants to be? Stephen decides to have Anna Grace decide if she can stay there or not live in Arborville and if he should keep or sell his grandparents farmland. We also meet Bailey Forrester who is a reporter and is sent to Arborville to find a story on this community. There are four people looking in the wrong places. Bailey has his Aunt Marit that come through to him. He also tries to want to feel important. 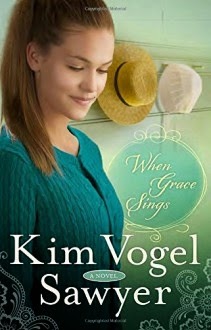 Will they all find Grace? What will happen with Stephen and Anna-Grace? The final part of this Saga but not last. We see what it to survive. They find out who is leading Grant, Bizwat and Aoléon to their final destination. They seem ready to save Aoléon parents. Zoots is with them. You are dragged into the adventure and wanting to read and turn the pages to find out if they make it our not. This part is really action packed. They are met with a small army. There is some tense moments that are taken place on Earth. Once again Brent does a wonderful job with the pictures. I have been drawn to look at the pictures or images a few times and leaves you to wonder what going to happen next. They meet Pax. They came to do a job. They head to the mothership. They find out the truth about what been happening to Mars and their galactic plant on Mars. They do seem to find the Boars and Cows that went missing. The Earth seem to be invade Earth. Aoleon and her group figure out what Luminon and his plans are. Will defeat Luminon and his army? Want to read the reviews on this series. I have them all, so here are the other four parts. 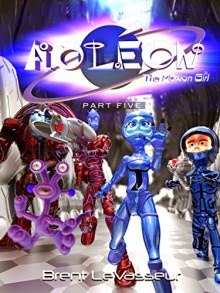 Aoleon The Martian Girl: - Science Fiction Saga Part 1, Aoleon The Martian Girl: - Science Fiction Saga Part 2, Aoleon The Martian Girl: - Science Fiction Saga Part 3, Aoleon The Martian Girl: - Science Fiction Saga Part 4. This is good for boys and girls. It quite a good action and adventure series book for children.